Wandering around at lunch the other day, I noticed this interesting and empty building near the corner of Grove and Christopher Streets. A bit of research into it informs me that it was a medical (and eventually a dental) clinic, built in 1831. 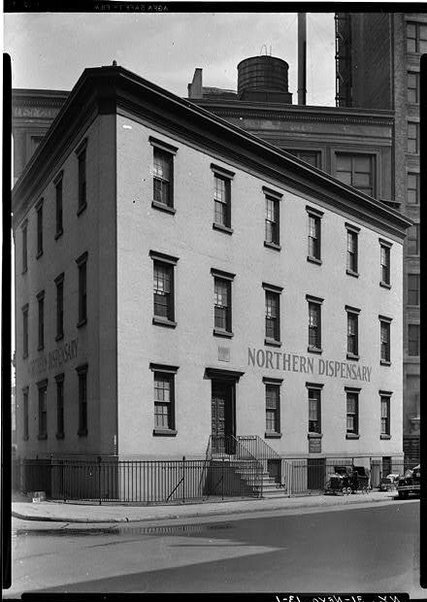 In 1837, Edgar Allan Poe, who lived nearby, was treated here for a cold. The building is triangular (you can see some better pictures on Forgotten NY's walking tour of the area) to fit its odd plot of land. 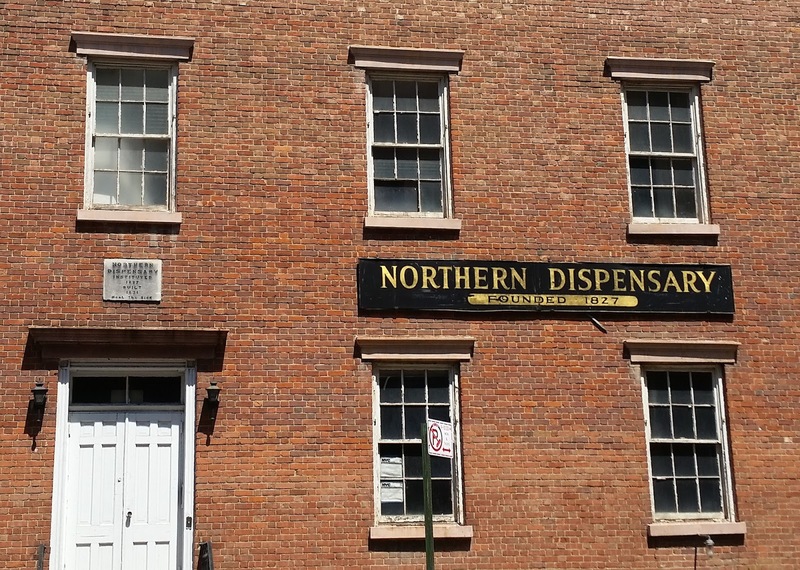 It's called the Northern Dispensary because in 1831, it was actually a more northern area of the city. 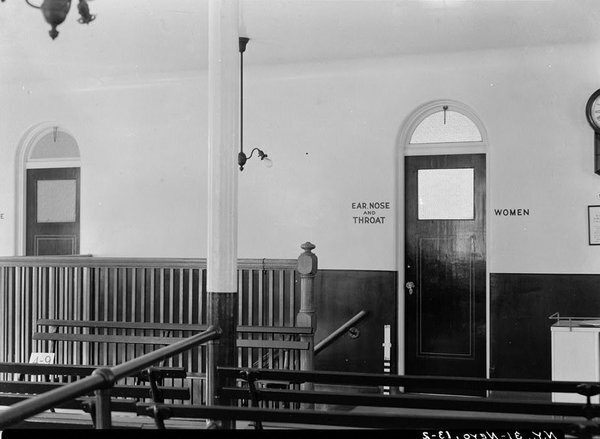 The idea of that is so interesting to me - what old New York looked like, and how unimaginable it is today. In 1846, when Poe moved to the Bronx, he was really moving out into the country! The building was purchased by William Gottlieb in 1998, but remains unused because its 19th century property deed stipulates that the building must be used for the care of the poor and infirm. He seems to have been quite the interesting businessman, buying up properties and then sitting on them, and this one is no exception. 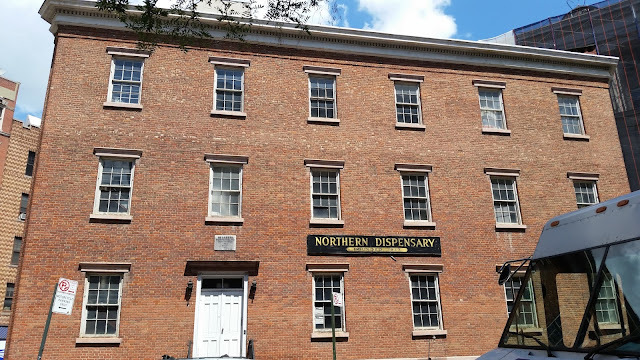 For a fascinating look at deed restrictions and historic buildings, check out this New York Times article about the building from 2011. 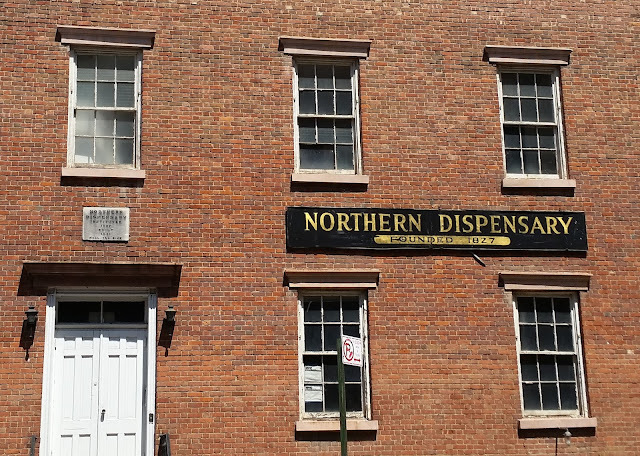 Quite the story behind this unassuming building!